Under general supervision of an assigned supervisor, to assist with the oversight of the operation of the Student Center; to observe, check and monitor Student Center to assure a secure social atmosphere for students, appropriate access to the facility and the safekeeping of equipment, materials and supplies; to perform general receptionist and office clerical duties including typing, filing, records maintenance and answering phones and to perform related duties as assigned. Bargaining Unit Position, Range 7. This position is 24 hours a week/12 months a year. The schedule is Monday - Thursday, 12:00 p.m. - 6:00 p.m. Hours subject to change based on District need. Receive and greet visitors to the Student Center and provide routine information regarding the Student Center and activities. Provide information in person or by telephone where judgment, knowledge and interpretation of policies and regulations are necessary; direct students to appropriate on-campus offices or locations. Assist with general oversight of the Student Center operation. Walk through facility to assure authorized access to the Center by students, faculty and groups and clubs for meeting rooms and planned activities in the Student Center, the safety of students and the safekeeping of equipment, materials and supplies. Identify special needs such as supplies for I.D. room, staffing of information booth and security of club suite area. Inspect for vandalism of equipment; take incident reports or complaints from students and the public for further action. Prepare daily log relative to problems, concerns and recommendations; report hazardous or unusual conditions observed. Call District security or local law enforcement officials relative to investigation and apprehension of persons involved in violations; monitor special access areas and verify that all participants have valid student identification cards. Turn off lights and lock the Student Center doors at the close of each day. Prepare appropriate paperwork for daily operations of student center. Check and implement daily schedule of events or activities; make appointments; prepare work orders; meet schedules and timelines; post material on bulletin boards and deliver to campus offices; operate a variety of office machines and equipment including a computer and applicable software, copier, adding machine, laminator and other equipment. Provide work direction to student workers; order supplies and maintain supply inventory. Perform general clerical duties, answer phones and maintain routine records, logs and files as directed. Operate a variety of office machines including a computer and related software applications. Assist students in using Center video game room, television room and club suite areas as well as operation of equipment including televisions, VCRs, computers, video game equipment and other equipment located in the Student Center. Monitor usage of the Center by students and groups; conduct the back-up of the ID computer system and shut off all computers, monitors, printers, televisions and VCRs at the close of each day. Arrange and schedule meeting rooms for special events and activities in the Student Center; assist in set-up of activities or special events inside or outside the Student Center. Equivalent to graduation from high school and two years of office clerical experience involving some public contact. Knowledge of: Student government organization; telephone techniques and etiquette; problem solving techniques; diverse academic, socioeconomic, cultural, disability, and ethnic backgrounds of community college students; District policies and procedures; correct English usage, grammar, spelling, punctuation and vocabulary; interpersonal skills, using tact, patience and courtesy; principles of providing work direction; basic office equipment and procedures including a computer and applicable software programs including word processing, spreadsheets and email, copier, adding machine and other equipment; video game and audio and visual equipment; recordkeeping and filing techniques. Ability to: Understand and follow oral and written directions; communicate effectively both orally and in writing to exchange information; learn to interpret, apply and explain applicable rules, regulations, policies and procedures; analyze situations accurately and respond quickly; answer phones; prepare routine logs and reports and other information as required; operate a variety of audio visual or automated office machines and equipment including computer and applicable software, including word processing, spreadsheets, email and other related programs, adding machine, copier and laminator; maintain clerical records and files; provide work direction to student workers; establish and maintain cooperative and effective working relationships with others; sit for extended periods of time; bend at the waist, kneel or crouch; reach overhead, above the shoulders and horizontally; work alone evenings with minimal supervision. Work Schedule & Hours: Monday, Tuesday, Wednesday, Thursday - 12:00 p.m. - 6:00 p.m.
College Transcripts: Diplomas will not be accepted in lieu of the required transcripts. 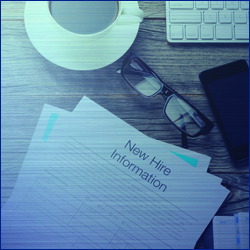 REFERENCES: The List of Professional References should include at least two current or previous supervisors, and two other references not related to the applicant (including classified support staff). Please include names, e-mail addresses and current telephone numbers for each professional reference in your application. Applicants from sectors other than higher education should submit comparable references. Letters of reference will not be accepted in lieu of the required List of Professional References.